Diapers by the Dozen is a home based business selling items for you baby. 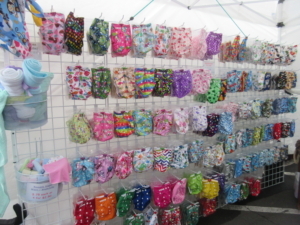 Adjustable cloth diapers in numerous cute prints, wet bags, super soft swaddle wraps and teething beads are some of the items I have. ** Please note that this is a home and not a store front. Please contact me before popping in to shop.